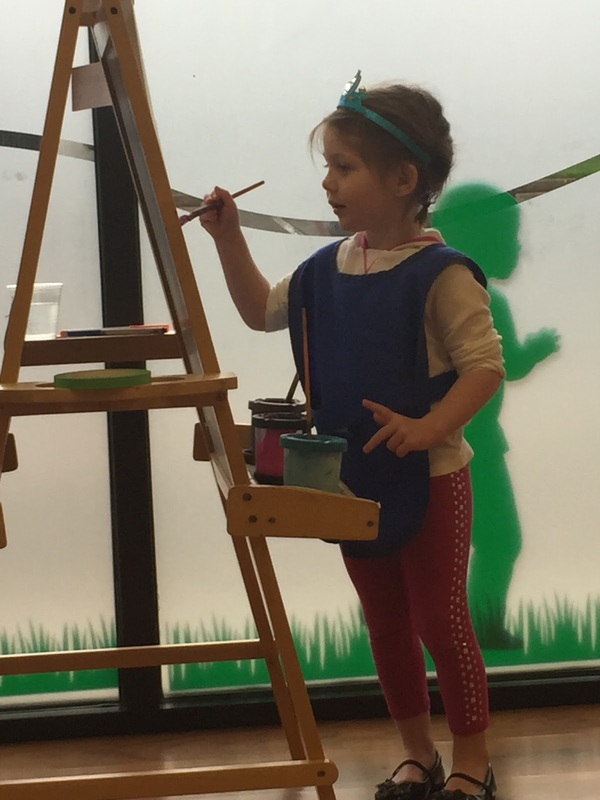 Preschool is a special place. 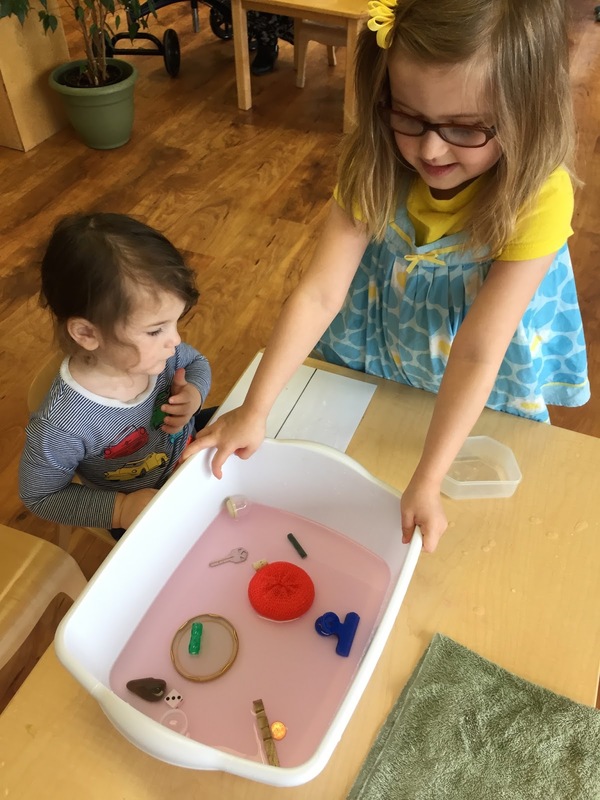 Our preschool is a particularly special place. 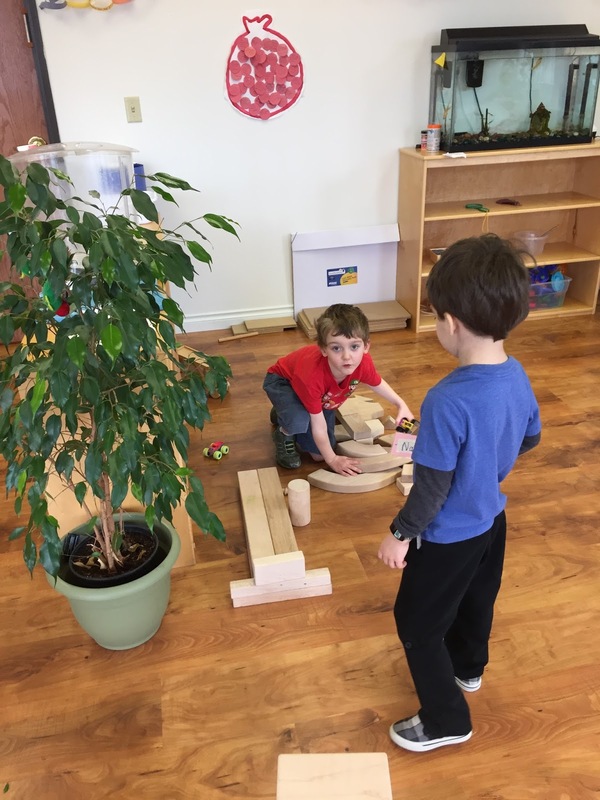 We provide a place where children can grow and bloom. 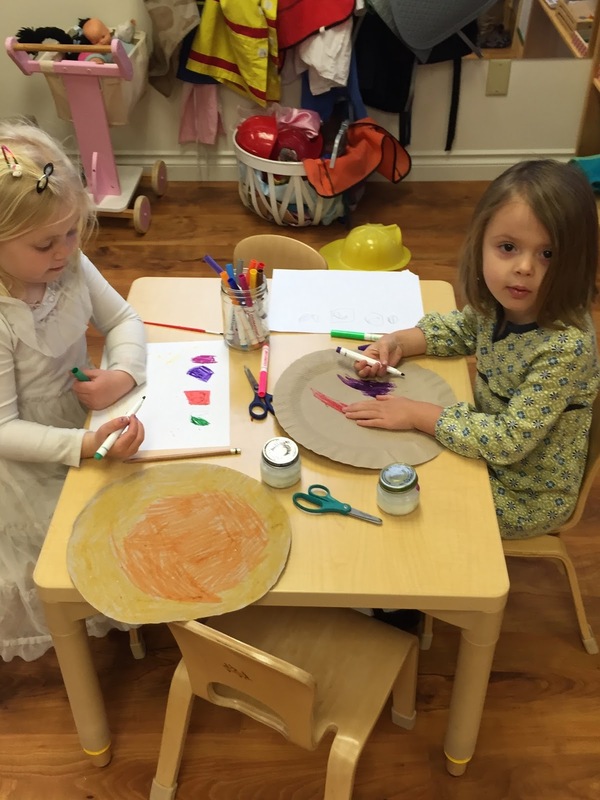 We create an environment in which the children are encouraged to act, explore and become engaged with learning materials and the different personalities of their classmates. Friendships are created through trial and error. The morahs at The Gan help mediate conflicts. 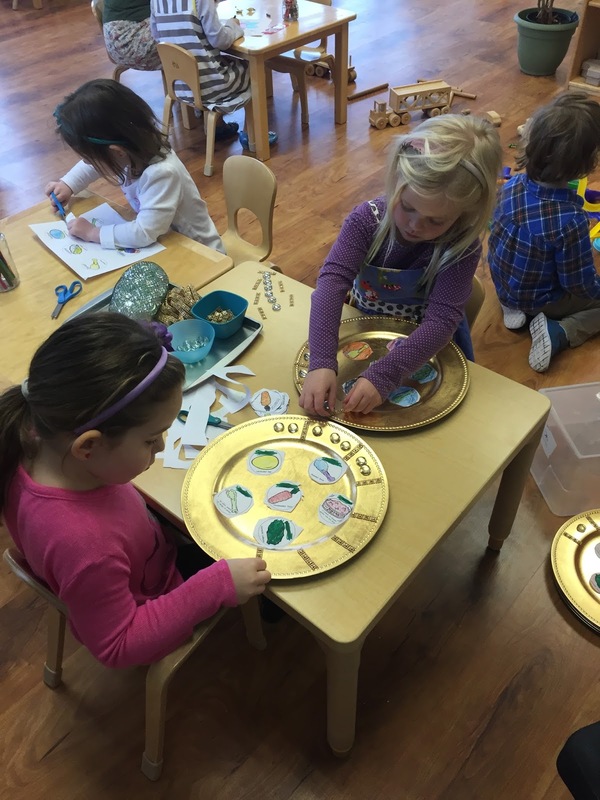 The children are guided in conversations which require listening and taking turns speaking. Each child is given the opportunity to say what happened and how it made them feel. The next step is for each child to make a request for a resolution. More often than not, after the children have been assisted in the conversation, the initial conflict is forgotten and a new happier conversation begins. 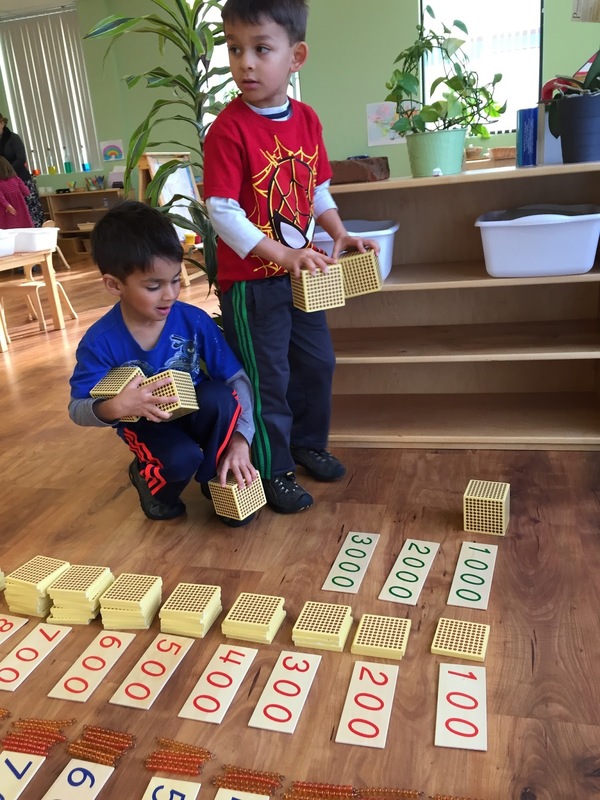 With practice, the children eventually solve problems on their own. Anton: No Isaac you can't touch those. Isaac: But I want to play too. There are enough. Anton: You played already, I am now. Isaac: You aren't using these. Anton: Ok you can use those, but I am using these and I don't want you to put water in them. Isaac: Ok and then we can trade. Judah: Olivia can I have some cars. Judah: But I want the cars and you drove them through your tunnel so you can be done. Olivia: I am still playing with them. Judah: How many more minutes until I can have some? With practice, the invitations and declines become smoother and more kind. The communication creates and develops friendships. 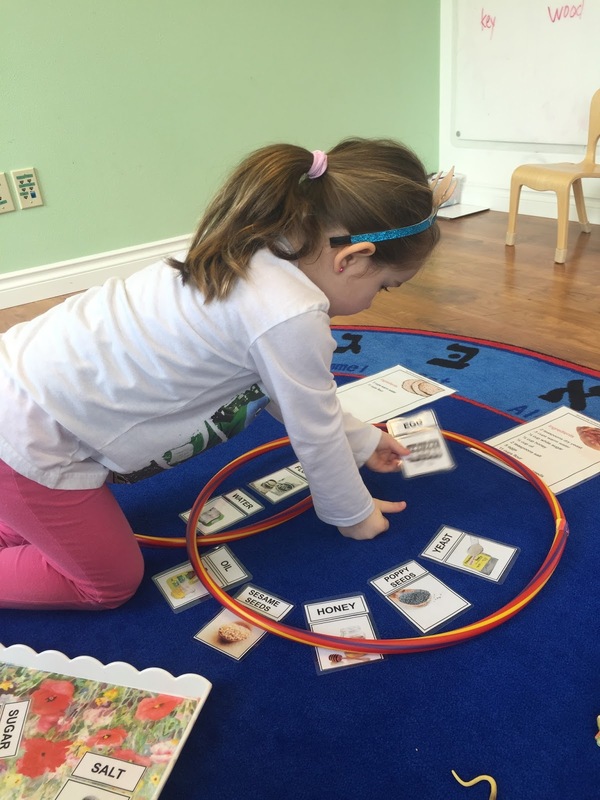 In this supportive and safe environment, these young children can experiment with the many different roles and behavior choices to discover what causes the most positive outcome. 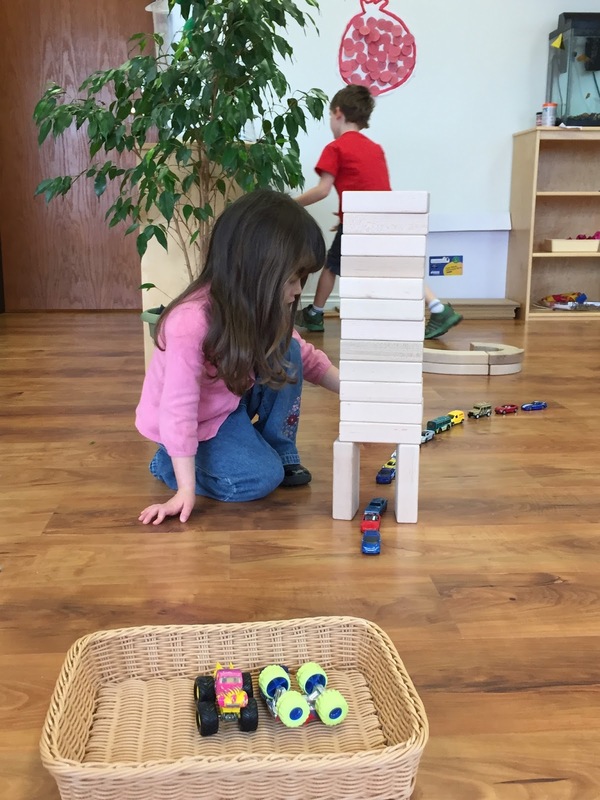 Not surprisingly, the children become more interested in offering help to their friends and creating moments of sharing. Abigail: I will help you Matan. Natan: Judah, you name card is out on the floor. Natan: You wouldn't want someone to slip and fall on it. Judah: Well you are right. Ok.
Admists all this social learning, our hands on learning materials are designed to foster and engage developing minds. 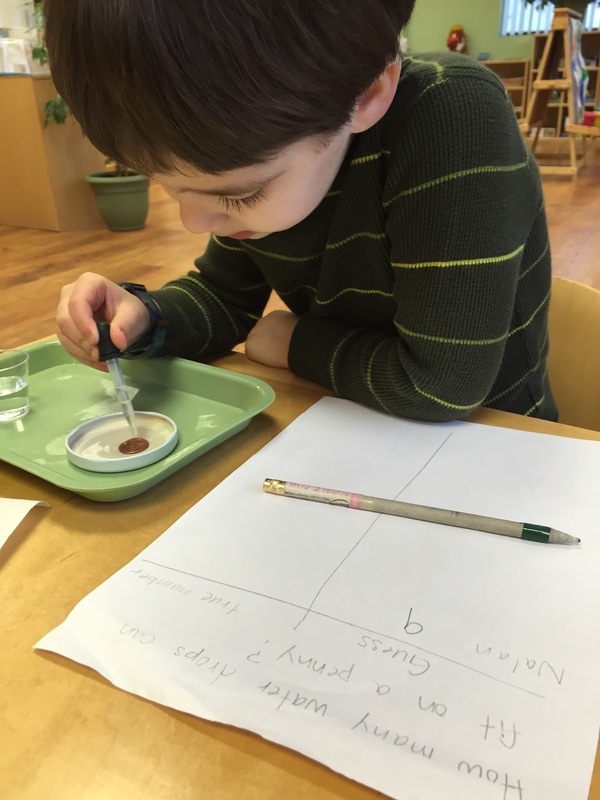 As we prepare for Passover, we are taking this week to perform a few Passover inspired science experiments. Why was the matzah flat? Eliana: They had to leave Egypt so fast and they didn't have time to cook the bread. How is matzah different from challah? 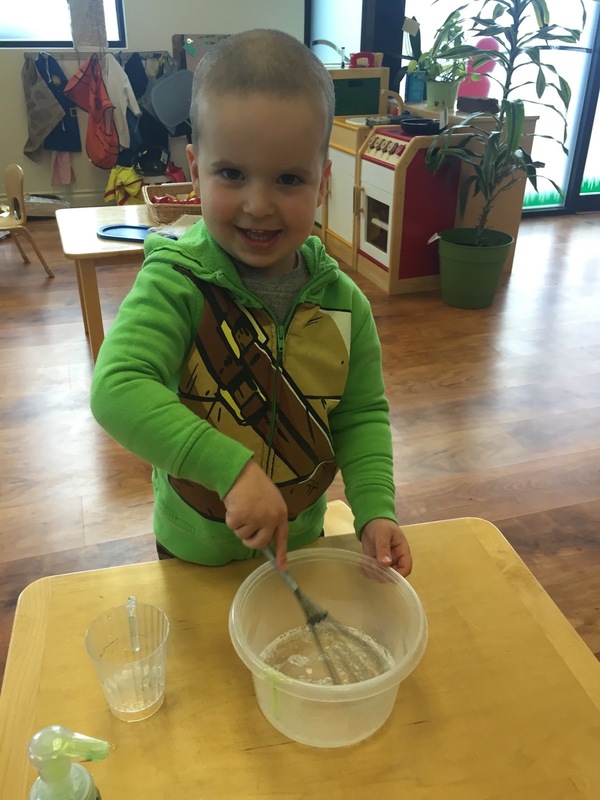 Eliana: Challah has many ingredients. They didn't have time to mix it all. Morah Katie: Which recipe does the _______ belong in? Morah Katie: Challah also needs yeast to make it rise and become big and fluffy. We are going to do an experiment. Yeast creates energy. Take a deep breath in (IN) and breathe out (out). We breathe in oxygen, and breathe out carbon dioxide. Yeast eats up the sugar in a bread recipe AND gets creates carbon dioxide! It is the carbon dioxide that creates the bubbles in the dough before it gets baked. The yeasts gets cooked away in the oven, leaving the fluffy soft baked bread. Morah Stephanie created a video to document our experiment. 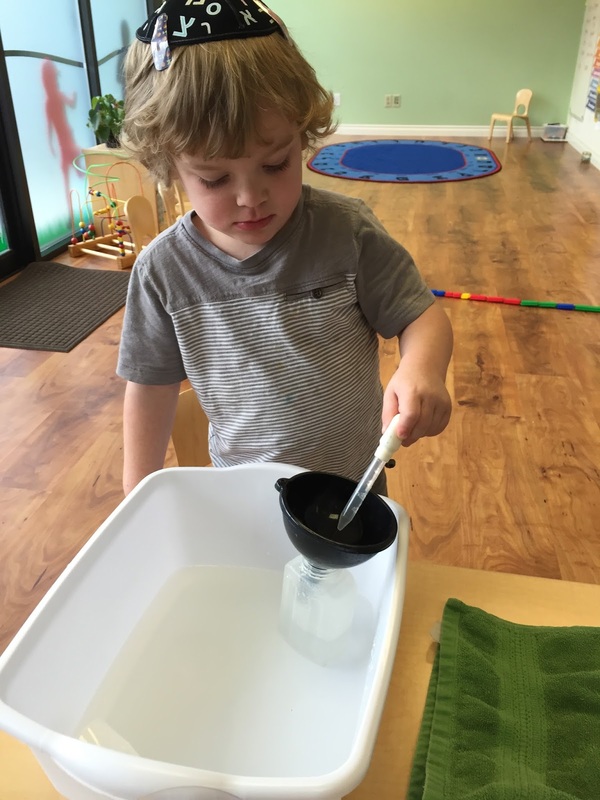 We will learn more about water and the Passover story next week, to prepare for that exciting part we have a few water experiments in the classroom. Water is important for living. It waters plants and keeps us healthy. Is there anything else unique about water? 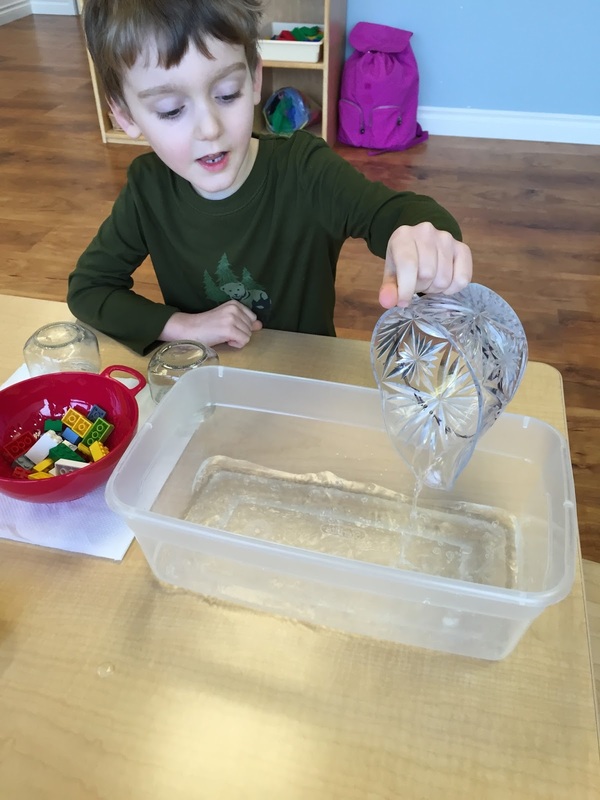 Judah: When I pour it (water) in the box it becomes a rectangle. When I pour it in the jar it becomes round. 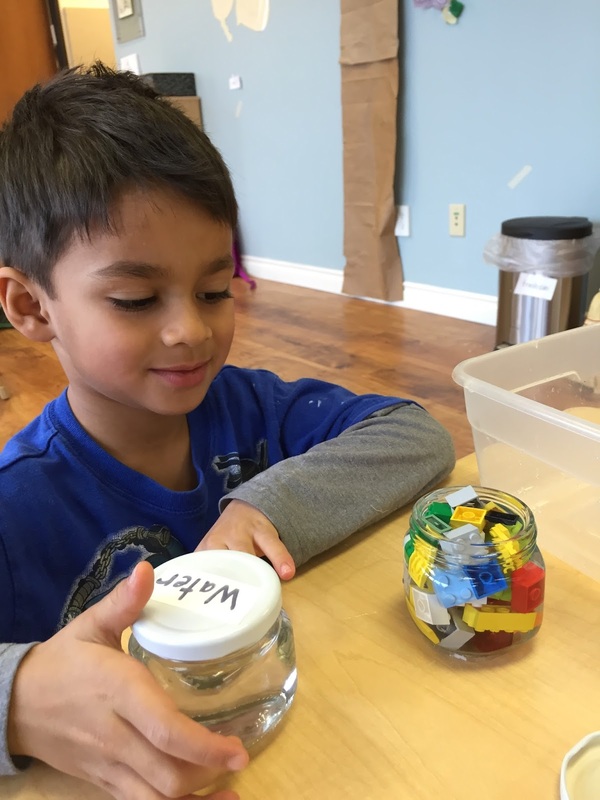 Isaac: The water filled the whole jar. and then the water covered and filled in all the empty spots. 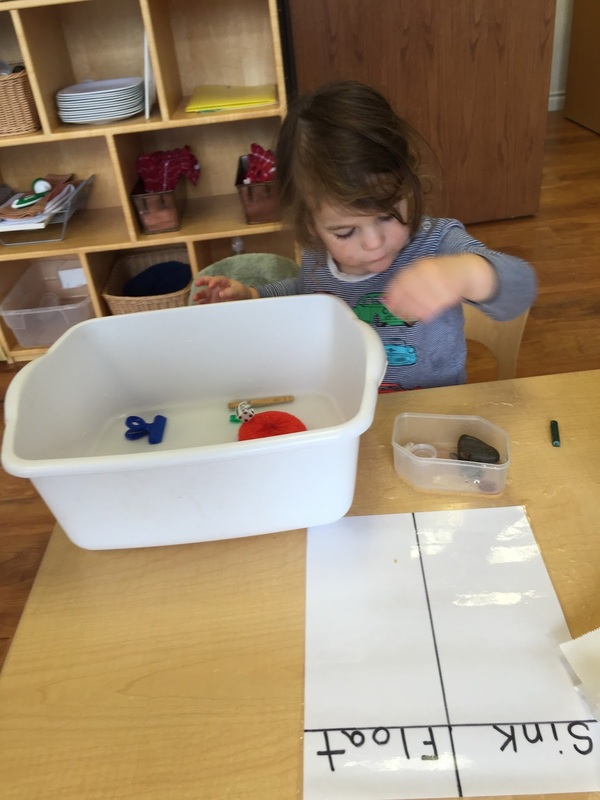 Natan: The sponge soaked up so much water and it made it sink. Water drops like to stay together. 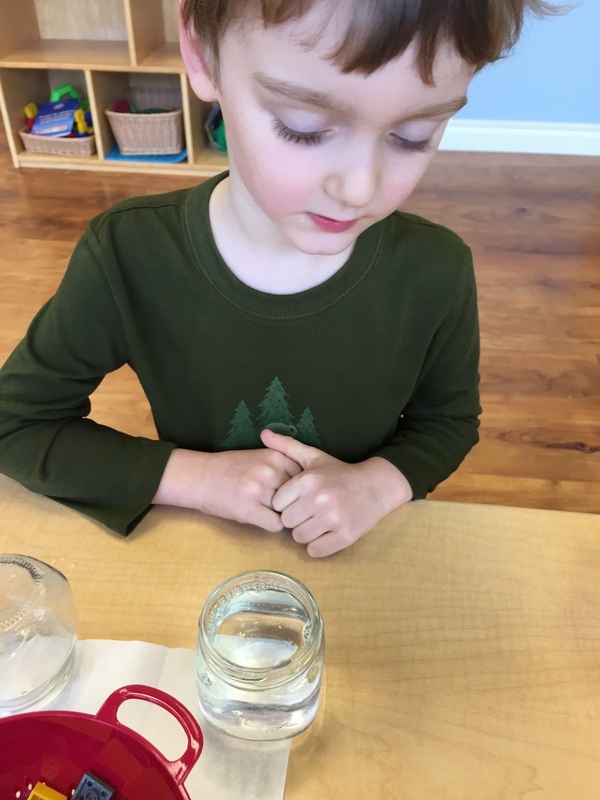 How many water drops can fit on a coin before the water rolls off? Amelia: Natan thinks 9, I do too. 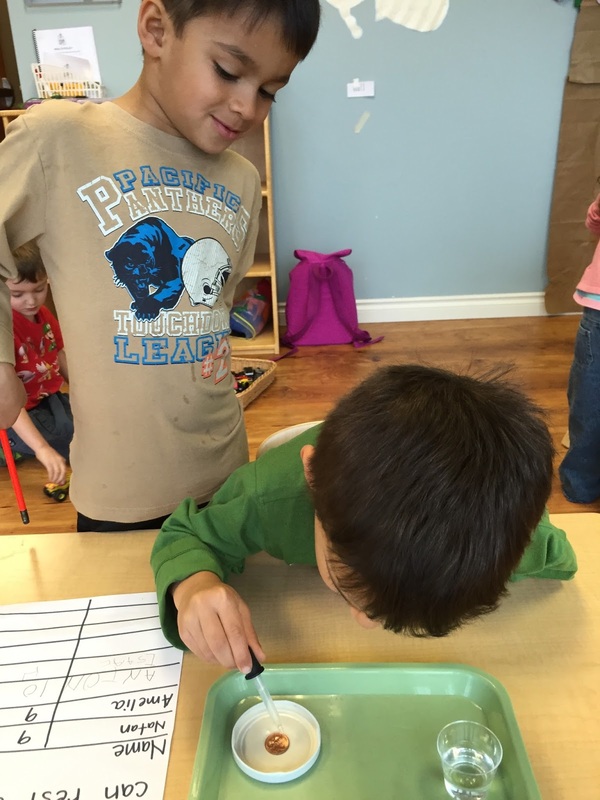 After a few trials, we discovered we could consistently put 19 drops of water on 1 penny. 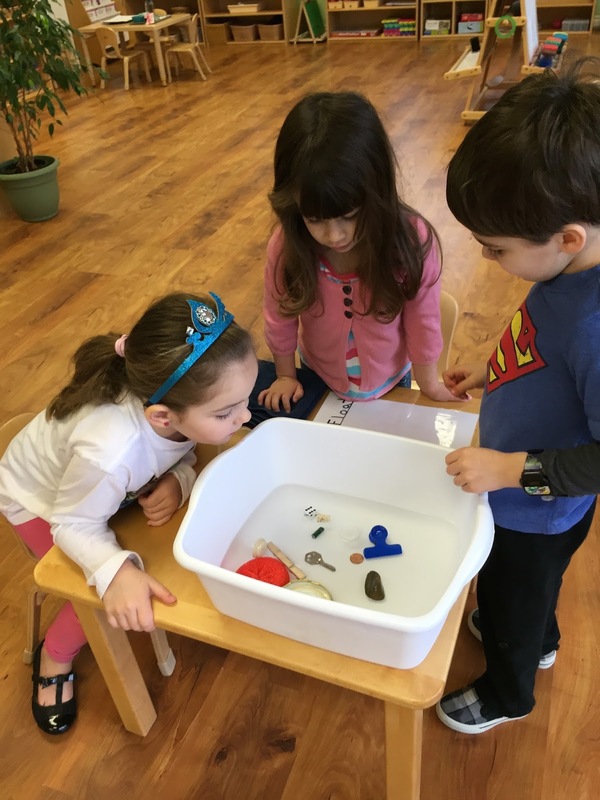 We could fit 21 drops of water on a nickel. Pesach ba, Passover is coming! Purim day, Purim day, what a happy holiday!